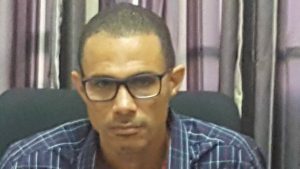 Former Bishop’s High School teacher, Coen Jackson is to be charged with a sexual offence allegedly committed on a child, the Director of Public Prosecutions Chambers has recommended. After months of back-and-forth between the DPP’s Chambers and police, a recommendation was dispatched to police earlier Wednesday for Jackson to be charged with the offence of “sexual activity with a child by abusing the position of trust”. That offence is in violation of Guyana’s Sexual Offences Act. The recommendation was made after police conducted additional work based on the DPP’s request for, among other things, copies of birth certificates, and additional statements from a counselling agency that is dealing with the complainant, who is now 21 years old. Jackson has already denied committing any sexual offence with any of his students. He has, however, admitted to having relationships with two of them after they had been no longer attending school. Jackson has denied the allegations, which surfaced late last year from government’s Cultural Policy Advisor, Ruel Johnson. The female and Johnson recently married.